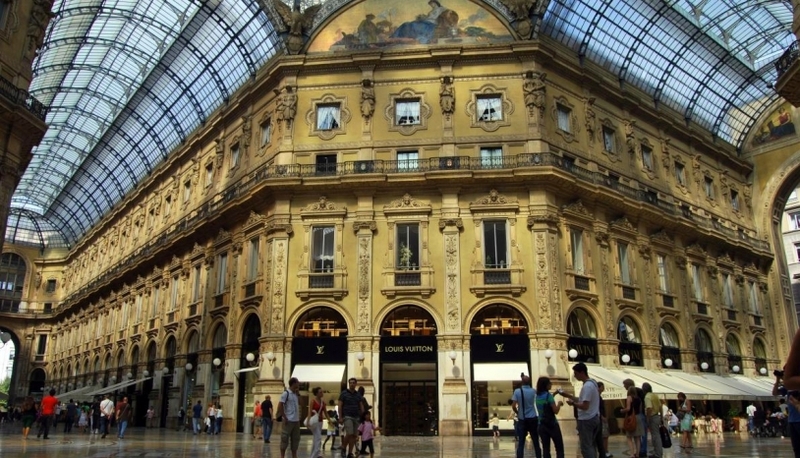 The belief that Milan is the fashion and moneymaking center of Italy is common. But behind all the banks and boutiques of the city, many mysteries and highlights that are unique to Milan are hidden. It is worth noting that many of the secrets and peculiarities of this place can hardly be called Italian. However, before going to this beautiful city, try to learn more about it. We picked five most useful, as well as unusual and surprising facts about the city of fashion. 1. Despite the fact that Rome is considered to be the Eternal City, it has a kind of rivalry with Milan. While Rome is the main political center of the country, Milan remains home to many banks, stock exchanges and, of course, the fashion houses. The Romans often say that the best which can Milan offer, is a train to Rome. However, this is slightly biased opinion does not stop them from the habit of coming to Milan on holiday. 2. 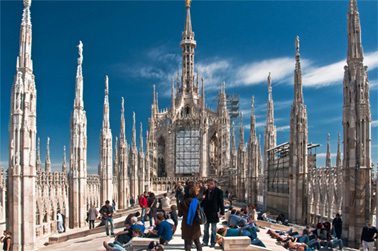 Milan holds the northern piece of Italy, and this means that life here obeys some different rules, which often do not coincide with the southern and central regions of the country. Restaurants, in contrast to the numerous boutiques and clubs often offer lunch just after 13:30, and dinner after eight o'clock in the evening. Milan residents are very punctual, so if you have booked a table, try to arrive on time. 3. If you are tired of the endless cups of coffee from popular coffeehouses, Milan will seem like paradise to you. But do not expect that you will be offered a cup of strong typical Italian espresso with a bitter taste. Milaneses prefer to drink coffee with plenty of water. Sure, it helps them to fully enjoy some pastries. 4. Milan is a city where you need to drink stunning and elegant cocktails. One of the most popular drinks here is the so-called "spritz» («spritz») - low-alcohol drink, which is a mix of sparkling wine ("Prosecco» - «prosecco»), soda water and aperitif called Aperol (Aperol). 4. Basso Bar (Via Plinio 39, 39 February 29 40 05 80) –is a place where Zbalyato Negroni (Negroni Sbagliato) was first accidentally cooked. A local bartender mixed ingredients of Negroni cocktail, randomly adding there sprumante instead of gin. 5. For gourmets we recommend The Armani Bamboo Bar (Via Manzoni 31, +39 2 88 83 87 03), where traditional Italian dishes are transformed into cocktails. Caprese Mary (Caprese Mary) consists of vodka, tomato juice, basil and mozzarella. And this is not only an unusual mix that you can only try here. 6. Navigli (Navigli) is the most fashionable area of ​​Milan, where the whole social life is concentrated. This is where young people gather in the evening. And there is a reason: many restaurants, bars and cafés regularly offer new programs and entertainment.